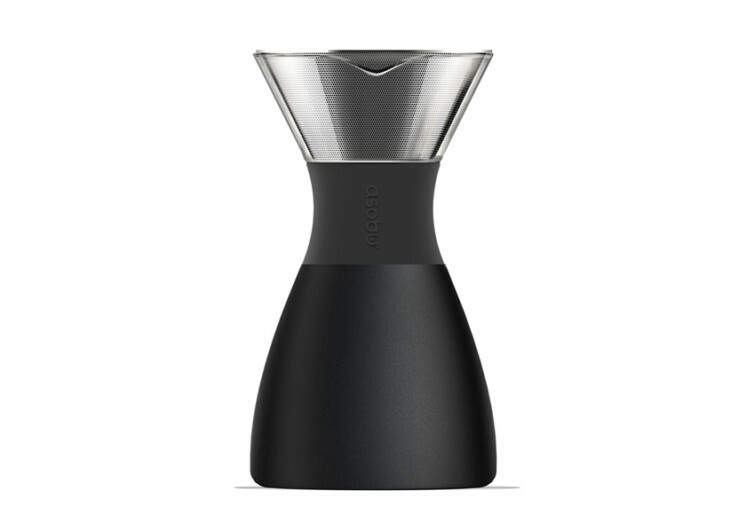 The Asobu PourOver is an exceptionally elegant coffee maker that serves to add a really stylish element to your kitchen countertop or even on your work desk. It is sleek and very refined. 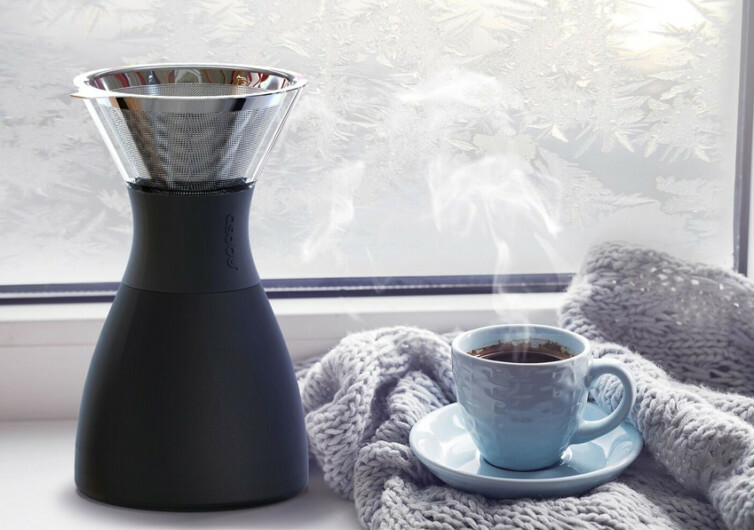 Best of all, the PourOver makes you coffee like you’ve never known before. 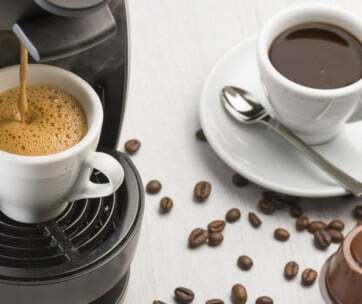 Available in four chic colors, the Asobu combines the versatility of modern coffee maker technology with the same good old delicious goodness of freshly-brewed cuppa. 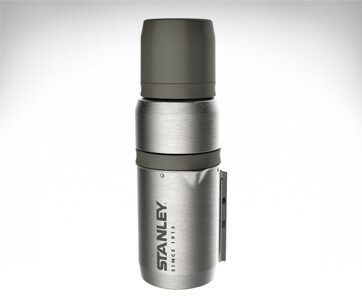 The thoughtful design of the Asobu combines the well-known thermal retention properties of double-walled stainless steel, giving you piping hot coffee for a full 12 hours, provided you don’t finish it all up in one sitting. 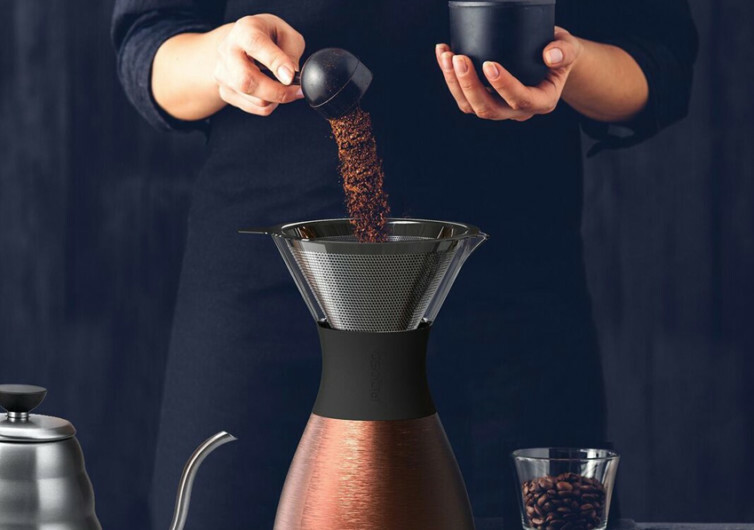 The insulated carafe comes with a copper lining which further ensures the optimum temperature of your coffee even if it has been hours since your last brew. 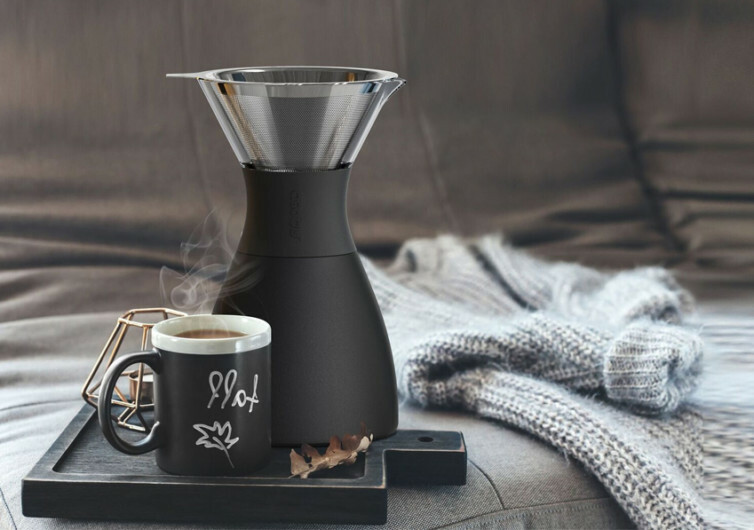 The PourOver also comes with a stainless steel type of filter, featuring micro mesh technology in a double-walled design. At the very least, you’ll never have to be frazzled by those flimsy paper filters ever again. 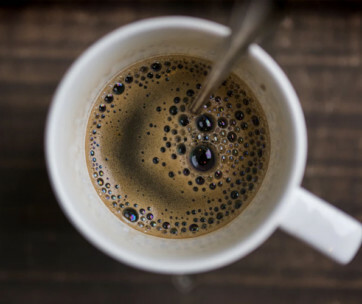 The whole process of making coffee couldn’t be made any simpler. 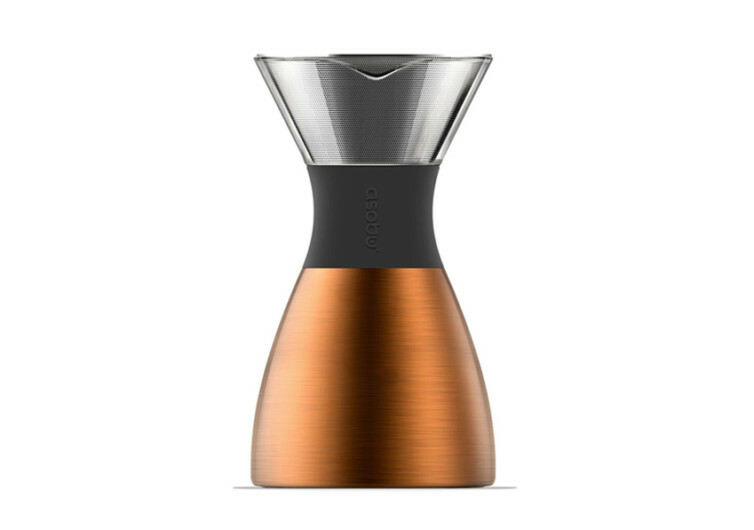 And with the very elegant and inspiring design of the Asobu PourOver enjoying coffee has never been more fun.